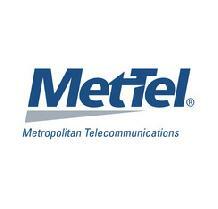 I’m happy to report that for the first time and by popular demand, we’ve held two MetTel Innovation Summits in a year! This latest one, on our home turf, was the largest, with 35 enterprise CIOs participating from major brands such as Johnson & Johnson, FIS, USDA, RWJ Barnabas, AXA Financial, DTE Energy, Titan America, Main Street Bank, Fortress among others. We also had a great set of partners on hand, including our first official Summit sponsor, Samsung, who had a wonderful surprise in store for our guests. More on that later. Similar to our last Summit in Palm Springs, we had an informative agenda focused on Digital Transformation (DX) and three key aspects that MetTel plays into: Intelligence, Connectivity and Security. DX is in the early stages of a multi-year cycle that will eventually completely change the way we do business, making businesses more nimble, flexible and capable of meeting any market opportunity or threat. Essentially, DX allows even established companies to become disrupters, instead of the disrupted. In the words of the hockey great Wayne Gretsky, “Great players always skate to where the puck IS GOING, not to where it’s been or even IS” – and that epitomizes our ability to predict the market and industry trends and most importantly, our customers’ needs before they know themselves. That has helped to make MetTel one of the industry recognized leaders in Telecom and Technology since our inception 22 years ago and will continue to be as a guiding principle for the future. Digital transformation is a massive technical and economic trend. By the end of 2019, DX spending will reach $1.7 trillion worldwide, a 42% increase from 2017. According IDC, the majority of companies will transform to digital businesses between this year and 2020. However, this is hard work. According to our favorite DX expert – and one of Summit keynote speakers, Shawn Fitzgerald of IDC – only about 1/3 of businesses today are actually moving ahead successfully with DX. That leaves 2/3, the vast majority of business organizations, that are “digitally disabled,” in that they don’t have a real strategy or have institutional obstacles or cultural resistance to change. And when we asked those in the room what the biggest barrier to transformation is, 50% said “time to value” or how long it would take to show that the investments in DX are paying off….the pain before the gain, is another way to put it. 38% said “Proving the business case” that it’s all worth it is the second biggest challenge. Cost surprisingly, by itself, was not much of an obstacle, with only 4%. This shows IT leaders know they need to transform and are willing to pay for it. They just have to convince senior management and show return on investment while they are on the journey to transformation.